There’s a lot of focus on women losing weight, but men can feel equally self-conscious about excess pounds. Whether the excess fat is around your stomach, your chest or elsewhere, liposuction for men is handled professionally by board-certified Manhattan plastic surgeon and general surgeon Richard W. Swift, Jr., M.D., F.A.C.S. What Is Liposuction for Men? Liposuction is one of the most popular cosmetic treatments for men. In 2011, there were more than 300,000 of these procedures performed, and among guys it was the top choice. It offers terrific results, and Dr. Swift has an impeccable history of performing liposuction for men. He stands as one of the most renowned specialists in the Manhattan area. Every person is different when it comes to the outcome of procedures. Keeping this in mind will help you as you look through our vast catalog of different options, where you can see the kind of results that Dr. Swift has achieved with his patients firsthand. When you have your consultation with Dr. Swift, you’ll find out more details of what you can expect after your chosen procedure. To perform liposuction in men, anesthesia is used. A small incision is made and a hollow tube is inserted to remove unwanted fatty tissue from the area. The tube is moved in a back-and-forth motion, and when the fat removal is complete, the incision is closed and the area bandaged. Men have liposuction performed on areas such as the waist, the abdominal area, the thighs and the upper arms. Unlike some cosmetic procedures, liposuction for men doesn’t require a certain regimen to follow before you have the surgery. However, you should stay away from lotions, creams, and cologne on the designated area. Keep a realistic attitude about your outcome, as it can take up to several months to experience the full effect of the procedure. A compression garment will be used over the bandages following the surgery, and it will be kept there until the doctor gives the okay for its removal. You’ll be prescribed antibiotics to prevent post-surgical infection. You’ll also have medicine to help with any soreness and irritation. You may have some swelling or mild discomfort after your surgery, but these are usually short-lived. When you speak with Dr. Swift following the procedure, you’ll receive more information on the recovery process. Is Liposuction for Men Right for Me? 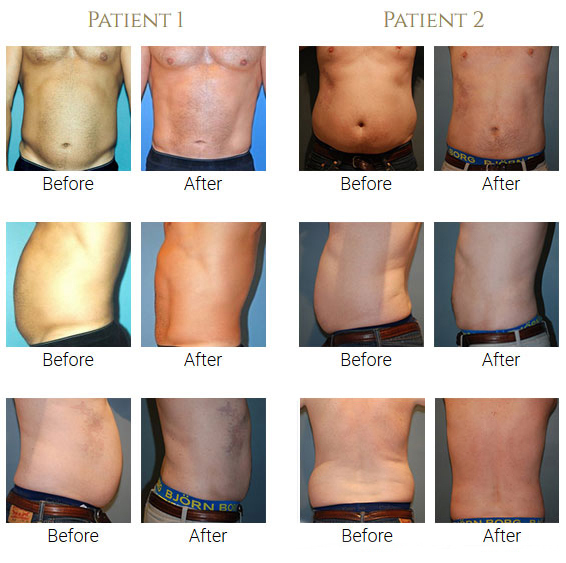 Liposuction for men is most recommended for those who are within 15 pounds of their weight loss goal. Dr. Swift wants to assist you in reaching those goals, and together with you will discuss them and whether liposuction is the most suitable option for you or if there’s another more appropriate procedure that will help you to reach your desired goals. How Much Does Liposuction for Men Cost? Costs for liposuction will vary depending on the extent of surgery or the number of treatments needed to achieve your desired result. Most insurance plans do not cover plastic surgery or specific cosmetic treatments. Dr. Swift accepts payment via cash, check, or credit card, as well as Prosper Healthcare Lending as a financing option. Dr. Swift will examine the area(s) you wish to have treated and determine whether or not liposuction would be an ideal procedure for you. As different people have different needs, he may make suggestions for a customized treatment plan if multiple areas will be undergoing treatment. Above all, Dr. Swift highly values patient questions and trust and will work with you to ensure the results of your liposuction are realistic and satisfying. Liposuction doesn’t have to be reserved for celebrities any longer! Get rid of that beer gut, fat around your arms or thighs, and more! Contact our Manhattan, NYC office today to schedule your consultation.